So, how will 2019 fare? Will we continue to see LGBTQ narratives told with nuance, originality and authenticity – or will studios big and small move on to pastures new now that we’ve had our moment in the spotlight? Speaking to Emma Smart, a veteran of queer cinema who’s been programming BFI Flare: London LGBTQ+ Film Festival for more than a decade, we’ve pulled together a list of witty, dark and touching LGBTQ films that move beyond tried and tested stories of love, loss and coming out. Where previously cinematic behemoths like Call Me By Your Name and Moonlight have focused on the stories of gay men, this year looks poised to be the year of the queer woman. Here are Emma’s pick of docs, indie features, and big name blockbusters that you won’t want to miss. Emma Smart: “This is a remarkable film based on the incredible true story of celebrity biographer Lee Israel. A one time best-selling author, she sort of fell out of favour and began selling signed letters she’d received to make ends meet. When she realises there’s money to be made in selling these letters she starts forging them. She’s this incredible butch dyke, played by Melissa McCarthy, who lives alone with her cats, which is not something you get to see in a blockbuster like this. The thing I find particularly refreshing about Can You Ever Forgive Me? is that her queerness isn’t a plot point, it’s just there. Emma Smart: “As with Boy Erased, I think this film may divide the community. There continues to be a lot of meaningful and necessary discussion about who gets to tell our stories (particularly when it comes to trans stories, which really haven’t been told as often as they should) and this film will definitely form part of that debate. It’s been nominated for a Golden Globe, won the Caméra d’Or for best first feature film and Queer Palm at last year’s Cannes Film Festival and is receiving strong reviews from critics. 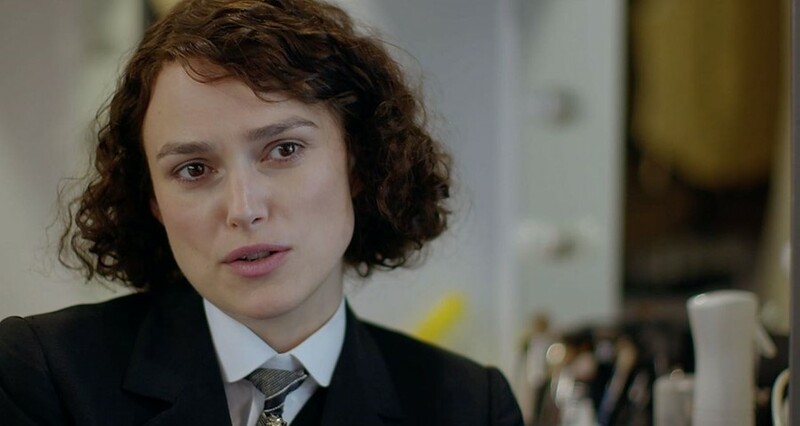 BFI Flare: London LGBTQ+ Film Festival Returns To The BFI Southbank 21st to 31st March 2019.